The Merrell Moab Ventilator Hiking Shoe is constructed of breathable material that makes it extremely comfortable to wear. On hot and dry trails, these shoes will keep your feet dry and cool. When wading through water while canyoneering or portaging a canoe, they drain and dry much more quickly than competitors’ brands. Their traction on dry rock and gravel is excellent, and their wide forefoot provides a stable platform. 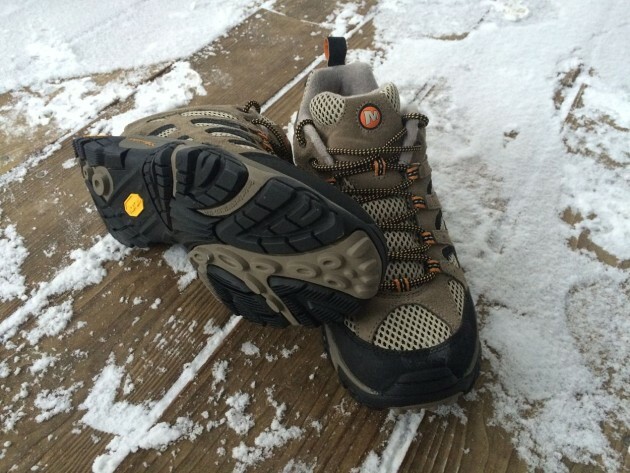 Both military and civilian adventurers have said that this shoe is the best out-of-the-box shoe they have found. Outsole material: Compression-molded EVA footframe provides cushioning, and the Merrell air cushion in the heel absorbs shock and adds stability. Fit and sizing: I typically wear a 10.5 regular. That’s what I ordered, and they fit great. MSRP: $90 seems to be the going rate for these shoes no matter where you find them. I have seen them on Amazon for around $89. Personally, I think these shoes are worth every penny of that price tag. Pros: The mesh uppers allow for easy draining of water and quick drying. Cons: The thin sole and midsole provide little protection from pointy rocks underfoot. The mesh uppers can snag sticks and other trail debris, but that’s not a big deal to me. If you hike in muddy terrain, you will be cleaning mud from the inside of this boot, as this is not the Gore-Tex version. The shoe offers no ankle support. Bottom line/overall performance: These shoes are just as good as other more expensive brands and are well worth the price. 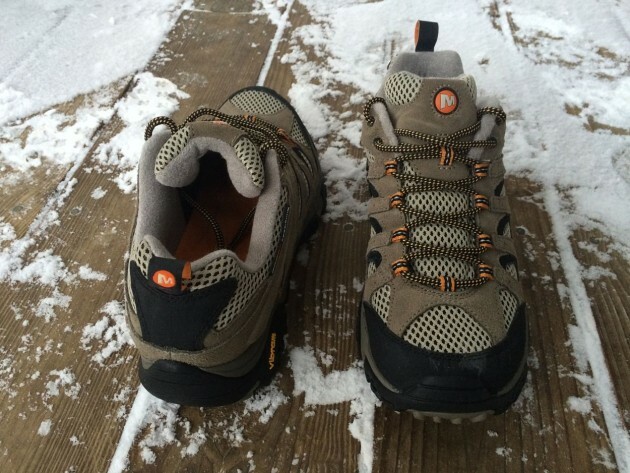 If you’re looking for a good hiking shoe that will last, stop looking and try out the Merrell Moab Ventilator Shoes. I will follow up with a more comprehensive review in the near future after I’ve put some miles on these shoes.